Haha almost every run in with Java I have had left me feeling this way. 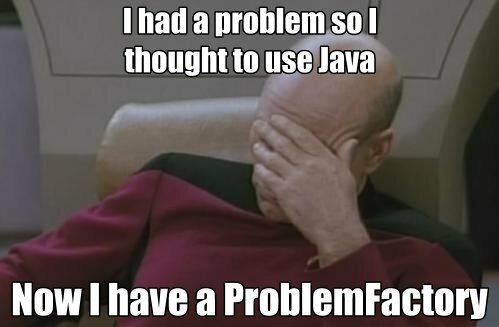 Nothing like a java facepalm to go along with integration problems. Companies that have .net and Java apps working side by side should smacked.